Kwesé Sports, Econet Media’s sports content platform, has secured an exclusive broadcast deal with the America’s Cup Event Authority, giving the African broadcaster exclusive multiplatform rights to broadcast live America’s Cup programming and highlights across 20 African countries. The agreement, which is effective immediately, is for the 2016/17 season. Viewers can tune-in to Kwesé Free Sports in countries where the free-to-air channel is available. 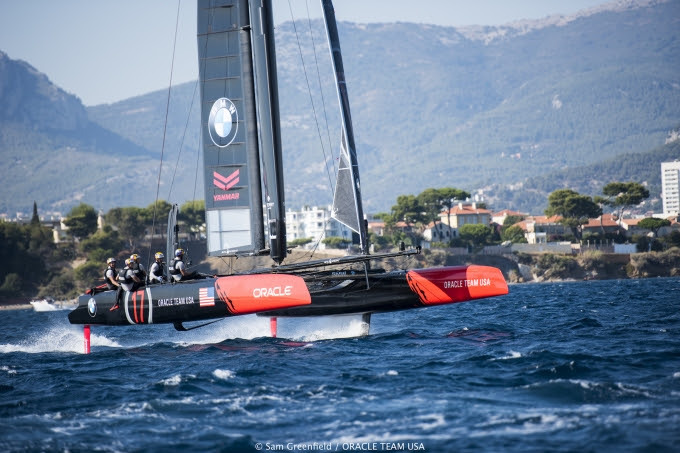 Live coverage starts with this month’s Louis Vuitton America’s Cup World Series in Toulon, France, September 10-11. Live and highlights programming from all remaining events of the 35th America’s Cup, through to the final races in Bermuda in June 2017 will be featured on Kwesé Free Sports with delayed coverage available on the Kwesé app. Chief Executive Officer of Econet Media Joseph Hundah said, “We are excited about bringing premium sports to audiences across the continent. As we continue to diversify our offering we are exposing African sports fans to sporting formats which were previously inaccessible to many viewers. “Through this and our many other partnerships Kwesé Sports is opening up a whole new world of premium sports to the continent”.